We are in the process of working on a couple of UE4 cinematic projects which are high quality and exciting productions. The core teams are in place for these projects and work is already underway - but we are now looking for additional talent to work with us over the next 4-5 months on VFX assets that need to be created for both in game and cinematic content. • Have a good background with the engine regarding FX, specifically with Cascade and how to leverage it for best realtime results. • Good 2D and 3D Art skills for creating a variety of realistic and stylised effects. • Good understanding how effects should be portrayed and visualised in high grade cinematic content, along with how to create decent shaders for your Fx that look the part but can also be optimised for a good quality/performance balance. The work can be well paid and we are open to discussion. We are based in the North West UK so please be aware that this work needs to be onsite in our Manchester studio, and we are looking for people who can start by start of May at the latest. I would like to add that on top of this, we have made plans to build out our core UE4 Cinematics team anyway, so if you are interested in joining us permanently then we can also discuss this. 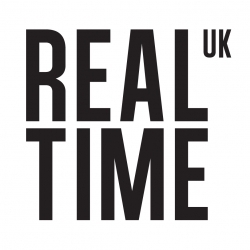 Please contact me on [email protected] or Skype (realtimeuk_peteleonard). ​​​​​​​Looking forward to hearing from you all!